The Canadian Kennel Club Foundation (CKCF) was originally formed in response to an overwhelming wish among the Canadian purebred dog community to protect, support and celebrate the furry friends we love so much. Since then, dog show participants (including breeders, exhibitors, judges and kennel clubs) have raised tens of thousands of dollars in support of the CKCF's mission. Our raison d'être is continuously expanding as we bring together all shapes, sizes and mixes of dogs and their people! Canadian dogs will live the longest and healthiest lives possible while enjoying an optimal relationship with humans. ​Improve the canine-human relationship and the health of Canadian dogs by empowering communities to educate their members on responsible dog ownership and enabling canine health research. ​The CKC Foundation is proud to promote research and projects aimed at supporting and improving good health across the dog population. The primary way we do this is by funding research into the causes, diagnosis and treatment of diseases in dogs through the award of our annual CKCF Research Grants. Projects in all fields of canine research are eligible for funding grants (worth up to $30,000 in 2015!) with particular emphasis on support for Canadian researchers. ​Our unique Pawsitivity Grants aim to increase awareness of the many benefits dogs bring to their owners and to Canadian society. Beginning in 2015, up to $20,000 in grants will be awarded to projects dedicated to highlighting and strengthening the human-animal bond. We're dog lovers, just like you. Our Board of Directors is a group of dedicated dog lovers brought together by a common goal of raising funds for projects benefiting Canadian dogs. They are also professionals. In addition to extensive experience in a wide variety of business, government and corporate settings, our team also includes long-time pet owners and lovers as well as dog breeders, judges, handlers and trainers. Allison Foley brings to the CKCF a lifetime of dedication to the world of purebred dogs. Starting as a junior handler in British Columbia, she went on to be an apprentice for some of Canada’s top professional handlers. She later became a professional handler herself and is one of Canada’s most winning handlers to date. She has made Canadian history by winning more than 500 Best in shows. Piloting numerous dogs to top dog all breeds as well as top dog in their groups and top 10 all breeds. She is a founding member of the current CPHA and as well is currently the president. She has served as a Junior-handling representative in two different zones for the CKC as well as a Purebred dog inspector. Allison is also licensed to judge Junior handling in the United States under American Kennel Club rules. Charles Simonds has been involved with purebreds Dachshunds since his childhood and his late wife, Barbara, bred and showed Standard Long-haired Dachshunds for some forty years. He has been active in the Eastern Canada Dachshunds Club since its formation and served as its Treasurer and Editor of its newsletter for many years. He also served as the first Chair of the Board of the Federation of Dachshunds Clubs of Canada. A retired soldier, Charles holds degrees from both the Royal Military College of Canada and Queen's University. He continues to serve his community in a broad range of volunteer activities. A Life Member of the CKC, he has served over many years on the Club's Discipline, Legislation, and Strategic Planning Committees. Charles was instrumental in the establishment of the Foundation and is strongly committed to its mission. ​Emily’s experience as a development professional, entrepreneur and volunteer spans almost 20 years. She is a Member of the Canadian Kennel Club (CKC) and is also the Manager, Market Expansion at CKC, which brings together her development expertise and her love of purebred dogs. Prior to joining the CKC’s management team, Emily co-founded Donor Gateway Inc. and worked as Research Manager and Development Officer at the CAMH Foundation. Emily holds a B.Sc. from the University of Toronto which is where she began her development career as a senior member of the research team for The Campaign. She then established the MacKinnon Research consultancy and provided prospect research consulting services. She spoke at numerous fundraising conferences across North America and was invited to guest-lecture students in Humber College’s Fundraising and Volunteer Management Program. ​Emily is passionate about purebred dogs. She breeds German Shorthaired Pointers and enjoys working and competing with her dogs in the field and show ring as well as holding hunt training classes. Emily is a former member of the Board of Directors of the German Shorthaired Pointer Club of Canada and was the Founding Director of Pointing Dog Rescue Canada. ​Born and raised in Quebec City and a Université Laval alumni, François travelled in over 30 countries around the world and worked in France, Brazil, Colombia and the United States before settling down in Toronto, Ontario. His international travels, studies and work have helped him add English, Spanish and Portuguese to his native French. ​François was always a dog lover and animal welfare advocate. He has been a Doberman owner for decades, and is also an active member and volunteer of the Doberman Pinscher Club of Canada, and supporter of several canine clubs and associations in Canada and abroad. Having worked in public relations and project management his entire professional life, François works at a top branding agencies. François is a Taekwondo 3rd degree black belt and Head Instructor at Ryerson University, a National Referee with Taekwondo Canada, as well as a professional scuba diving instructor. 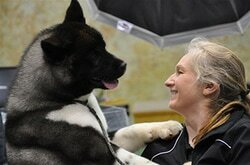 Kimberly has been involved in purebred dogs since 1992 after acquiring her first Akita. Since then, she has actively bred and shown both Akitas and Basenjis producing numerous Canadian and American champions as well as Best In show winners. Professionally, upon completing her doctorate in biological engineering, Kimberly began a successful consulting career in environmental remediation and life cycle assessments for cradle to grave research of industrial chemicals. Through her work with both university graduate students and private industry she has an extensive background in scientific research and product development. Her personal interest in canines has also led to the research and application of detection canines for conservation work. ​Lance Novak is the Executive Director of the Canadian Kennel Club Foundation in a voluntary capacity and the full time Executive Director of the Canadian Kennel Club (CKC). He has over 28 years of experience in senior management and executive roles primarily in the regulatory and nonprofit sectors. He has also served and been involved in many Boards over the years with a common thread of a volunteerism and a social mandate. Throughout his career, Lance has brought success and business growth through a variety of initiatives and projects. Lance is also a firm believer that success is achieved through engaged and motivated staff that are attuned and aligned to the needs of members, customers and stakeholders. As a supporter and owner of purebred dogs for over thirty years (with perhaps a small bias to Irish Wolfhounds), Lance is proud and excited to have this opportunity to champion the mission and goals of the Canadian Kennel Club Foundation. He sees a world of opportunity for the Foundation to flourish and delivery on its mandate to improve the canine-human relationship and the health of Canadian dogs. Lynne holds degrees in both economics and science and recently retired from a successful career with a multi-national company. She served as a member of the CKC Lure Coursing Council, organized specialty conformation and lure coursing trials whilst on the executive of the Interior Gazehound Club, and is an accredited mentor of Scottish Deerhounds for the Scottish Deerhound Club of America. ​She is a third-generation dog enthusiast who grew up in Scotland, owning several working German Shepherds. She bred Scottish Deerhounds under the prefix "Hollyrood" for over 40 years and has 17 generations on the ground. Her homebred hounds have won many specialties and all-breed Best in Shows. Marc Ralsky is a seasoned fundraiser with 25+ years experience working with not-for-profit organizations and other volunteer philanthropic groups to achieve successful outcomes. He has been described as someone who can aptly bring together diverse groups of people to work collaboratively, with a singular outcome. His practical streetwise approach to governance, fund raising, strategic planning and achieving objectives allows him to utilize his knowledge and experience to develop insights and recommendations that will help organizations achieve growth and prosper from change. A multi award winning integrated marketing specialist and well-regarded speaker in his field, Marc is currently the managing director of his bespoke not-for-profit consulting practice. He and his wife have been actively involved with purebred dogs for the past 25 years and share their lives with their Siberian Huskies. They actively show their dogs at CKC and AKC events across North America. 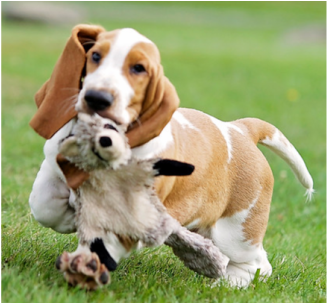 ​Richard has been involved in purebred dogs since 1971. Though he has owned and bred a variety of breeds, Shih Tzu and Lakeland Terriers are his primary passions and he is proud to have produced hundreds of Canadian and American champions as well as multiple Best In Show and National Specialty winning dogs. In addition to breeding dogs, Richard was a professional handler for 15 years. During that time he finished over 500 champions in 80 different breeds, winning over 150 All Breed Best in Shows. 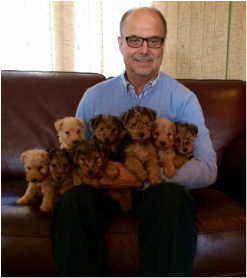 Today, Richard is an active All-Breed judge who can be found judging dogs all over the world. In his spare time, Richard is an active advocate for our four-legged friends, serving on the executives for a number of dog clubs and as a member of the Board of Directors for the Canadian Kennel Club. He is thrilled to have the opportunity to give back to the dogs he loves so much through his work on the Canadian Kennel Club Foundation Board of Directors. Growing up in Ontario, Sarah’s family always owned purebred Brittany Spaniels. Her love of animals resulted in her volunteering and completing academic placements at numerous veterinary clinics and wildlife rehabilitation centres. She completed post-graduate research focusing on wildlife management, behaviour and disease control. ​After working throughout Ontario, in the animal care, wildlife and environmental management sectors, Sarah moved to Alberta where she spent time focusing on wildlife and then moved in to overall environmental management. She now owns an environmental consulting company and resides on a ranch in the Foothills, where she spends most of her time with her two Labrador Retrievers and Akbash-Maremma livestock guardian dogs. Sarah is involved with Retriever hunting clubs and is currently enrolled in courses focusing on canine massage and rehabilitation services. As her canine companions have always been considered to be family, she is looking forward to using her background and knowledge to support the Canadian Kennel Club Foundation’s missions and goals. Shannon realized quite young that she had a passion for dogs. She began as a breeder of Newfoundlands and now breeds exclusively Clumber Spaniels. She has bred many Best in Show and Best in Specialty winners shown internationally. Shannon has often merged her passion with her professional life. She owned and operated a successful grooming and training facility in Edmonton for 19 years and also opened the first Pet Bakery in Edmonton. 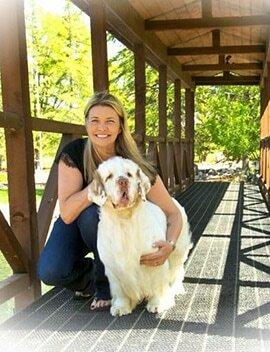 Shannon has been a member of the Canadian Kennel Club for 22 years and is currently the President of the Clumber Spaniel Club of Canada and a member of the Clumber Spaniel Club of America, the Edmonton Kennel Club, and the Newfoundland Club of Alberta. She has organized several National Specialties and breeding related seminars as well as several fundraisers to raise funds for dog clubs and dog related charities. Shannon has planned and coordinated events for more than 25 years, including as a Convention and Special Events Coordinator for SCM Insurance Services. Shannon is currently working on her Event Planning Certification. She lives in Edmonton, Alberta with her husband and is surrounded by family including their six adult children and, of course, their dogs. Stewart has been around purebred dogs all of his life. Family dogs included, Standard Dachshunds, Irish Setters, mixed breeds and the Rhodesian Ridgeback. Together with his wife Jacquie, the Cedarpoint Kennel name was born and has produced many champions, specialty winners, coursing champions, tracking and hunting dogs. Stewart is now a Conformation Judge with the Canadian Kennel Club and is working towards his all-breed status. Stewart has a particular interest in Canine Anaesthesia and Canine Bleeding disorders. While dogs are Stewart's passion, he also sits on the Board of the Canadian Coalition for Green Healthcare and is an advocate for Climate Change Resiliency, volunteers with various organizations for the sole purpose of philanthropy and he is currently working for a major healthcare organization. Stewart currently sits as president of a regional breed club, an executive member of a local all-breed club and actively participates in rare breed shows. Thomas began his involvement with dogs in obedience, then transitioned to conformation. He was actively involved in breeding, exhibiting under Prelude Perm. Reg'd. He was also an organizing committee member of Friends of Canadian Dogs Conformation/Obedience Club, has been an all-breed judge since 2007, and is a Life Member of the CKC. He has worked with volunteer Boards and committees throughout his career, structuring and organizing activities including fundraising, public relations, short- and long-term strategic planning and liaised with federal and provincial funding bodies. Thomas graduated in religious studies in 1973 and was ordained priest in 1974. 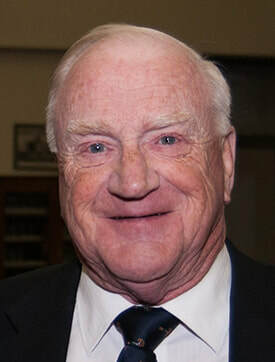 He was a founding member and first National Executive Director of Epilepsy Canada, Executive Director of the Quebec Branch of the Kidney Foundation of Canada, Executive Director of Guide Dogs for the Blinds, as well as a Founding Member and first Executive Director of the Sisters of Charity foundation in Ottawa. As a registered Canadian charity, The Canadian Kennel Club Foundation is required by the Income Tax Act to file annual returns with Revenue Canada. More than that, we recognize that earning your continued support requires openness and transparency about how we spend the money you donate. We're happy to say that, after a quiet period, beginning in 2014 the Foundation has been rejuvenated. We're sure you'll agree that our health and pawsitivity grants are leading the way toward a dynamic and active future. Check out the links below to read minutes from our Annual General Meetings as well as our audited financial statements.